IWI US' X95 Wins 2017 Golden Bullseye Award for Rifle of the Year from Shooting Illustrated | IWI US, Inc.
Harrisburg, Pa. (December 2016) – IWI US, Inc., a subsidiary of Israel Weapon Industries (IWI) Ltd., is proud to announce that Shooting Illustrated Magazine has chosen the TAVOR® X95 for the 2017 Golden Bullseye Award for Rifle of the Year. Shooting Illustrated is the National Rifle Association’s newest official journal with a focus on concealed carry, self-defense and tactical shooting. “I determined the X95 is The Answer. The Answer to what question(s), you ask? The questions that have plagued security services the world over: How can we combine the range and power of a rifle round in a platform small enough to easily maneuver in and out of vehicles, maintain a low profile in urban areas, fit both males and females for multiple missions, be reliable and remain within sensible budgets? In the X95, all of those requirements are met with aplomb,” remarked Ed Friedman, editor-in-chief of Shooting Illustrated, in his written review of the X95. 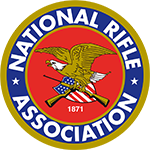 The annual Golden Bullseye Awards will be presented at the invitation-only breakfast during the 2017 NRA Annual Meetings & Exhibits in Atlanta, Georgia. To be considered for a Golden Bullseye Award the TAVOR X95 was tested and reviewed by the publication’s staff and found to represent the finest quality in a shooting sports product that exceeded not only the reviewer’s expectations but also its customers. “The entire IWI team is extremely pleased to accept this coveted award,” Michael Kassnar, VP of sales and marketing for IWI US stated. “This award reflects the commitment IWI US has to place the highest quality product into the customer’s hands and to back that product with exemplary customer service.” For more match information, please visit http://eastcoaststeelchampionship.com/index.html. adds training in areas like moving from cover to cover, operating in low light as well as firing from unusual shooting positions. Krav Maga courses are also available at the Texas facility. Krav Maga is the IDF’s hand-to-hand combat technique and offers an alternative method of self-defense when other means of force are not available to the student. IWI US also offers a Krav Maga course specifically designed for women which will be available in the spring of 2017. The TAVOR SAR/X95 Armorer Training Course held at the Harrisburg Area Community College is open to law enforcement and industry professionals. The course is designed to familiarize students in the basic maintenance, breakdown and conversions for both platforms.